Expertly formulated and full of nourishing ingredients, this overachieving body butter packs an Omega-rich punch of moisture to leave skin looking and feeling healthy and glowing. 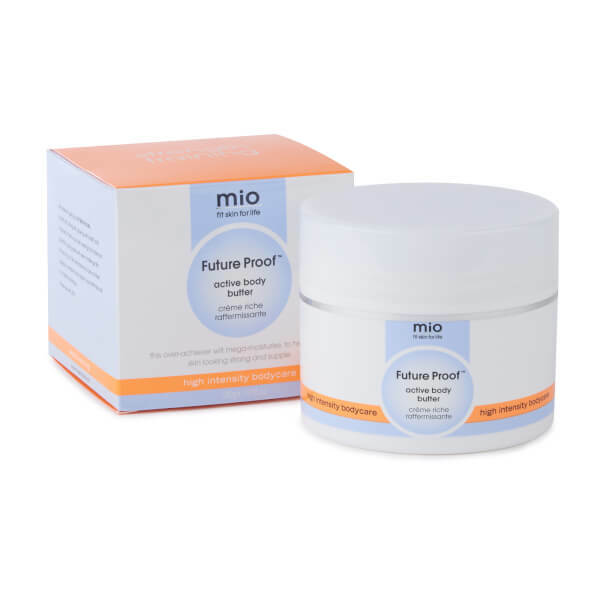 Mio Skincare formulas are free from parabens, petrolatum, colourants, xenoestrogens, PEGs, glycol and phthalates. This product is cruelty free and vegan. I used this in the evening after a shower, rubbed in really easily and you dont need to use too much, spreads a long way. Skin didnt feel sticky after which mine has done with other butters. Skin felt really moisturised the next morning again without feeling sticky. I would definitely recommend. The most nourishing cream I have ever used. It moisturises and firms and makes my skin feel blissful. Well worth the money as your skin feels wonderful. I got a pot in a gift bag from a yoga day, and it lasted an age. I treated myself once it ran out and will continue to do so! Now trying to convert my sister who is a creature of habit. No doubt once I get her to try it you'll have another loyal customer. Thank you! 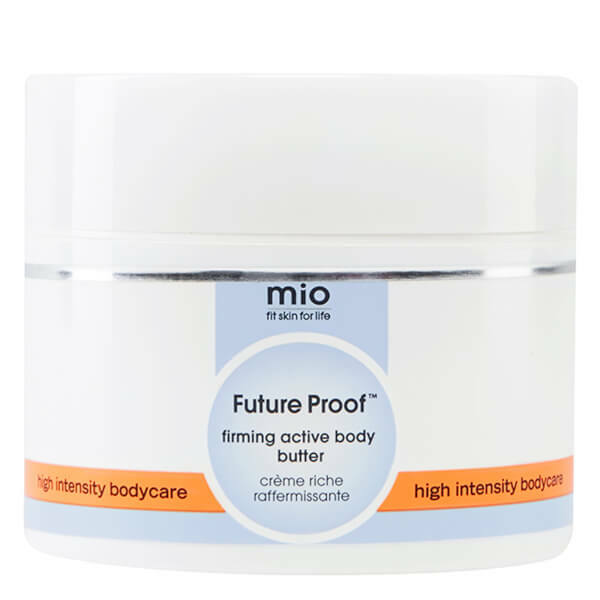 I was looking for a product to help keep my skin looking young and protect it in future but didn't want to buy expensive anti-aging creams yet - this cream is ideal! Skin feels moisturized instantly, and definitely looks firmer and smoother after a few days. Couldn't live without it now! I have red hair and pale skin - in the winter this skin becomes rough and dry. Most creams for extra dry skin that have any effect either feel like unrefined crude oil, leaving a thick heavy layer over which clothing feels uncomfortable. Or the cream is thinner but have a weird artificial feeling and while my skin feels relieved it also has a almost sticky sheen to it. Again, putting clothing over that is not nice. THIS cream however is neither. A thin layer fresh out of the shower soaks in and leaves no feeling other than comfort. I thicker application after a shower before bed left me feeling like is slipped on a body suit of comfort. The results are immediately noticeable too - I've had this product for just under a week and the scaly dry tight itchy skin is just a bad memory. Here is smooth, natural feeling healthy glowing skin. in a body cream, but were afraid to ask! I have to admit I wasn't sure about this product, and then I received it as a free treat with one of my orders. All I have to say - it's fantastic! It really hydrates my skin (the body butter and the Activist are the only products I've tried in all those years that actually hydrate and change the appearance of my skin! ), it makes it super soft and it's not greasy so it doesn't aggravate spots. And it smells fabulous. It looks like it's going to last a couple of months (but I only use it on my calves and arms, not the entire body) so I'd say it's a great investment. If you're not 100% sure, though, try the mini version in a fit skin set. I was really looking forward to trying this product especially after all it's good reviews. However, was disappointed that the body butter only lasted me 4 weeks. I didn't notice any improvement on moisture difference in my skin. Cheaper drug store products which cost quarter of the price have lasted me longer and have made more of a difference to my skin texture. I will not be purchasing this again in the future.